“We want to show support for a small country trying to be independent, and we want to tell the truth to the American people when we return,” Sanders said. Sanders was in the midst of a revolution of his own. Four years earlier, in 1981, he won a shocking victory by only 10 votes to become mayor of Vermont’s largest city, Burlington. Sanders was elected on a socialist platform and led a mayoral administration that he boasted was “more radical” than any other in the country. Sanders went on to suggest his mayoral administration had demonstrated “the people’s contempt for conventional old-fashioned Democratic and Republican politics. 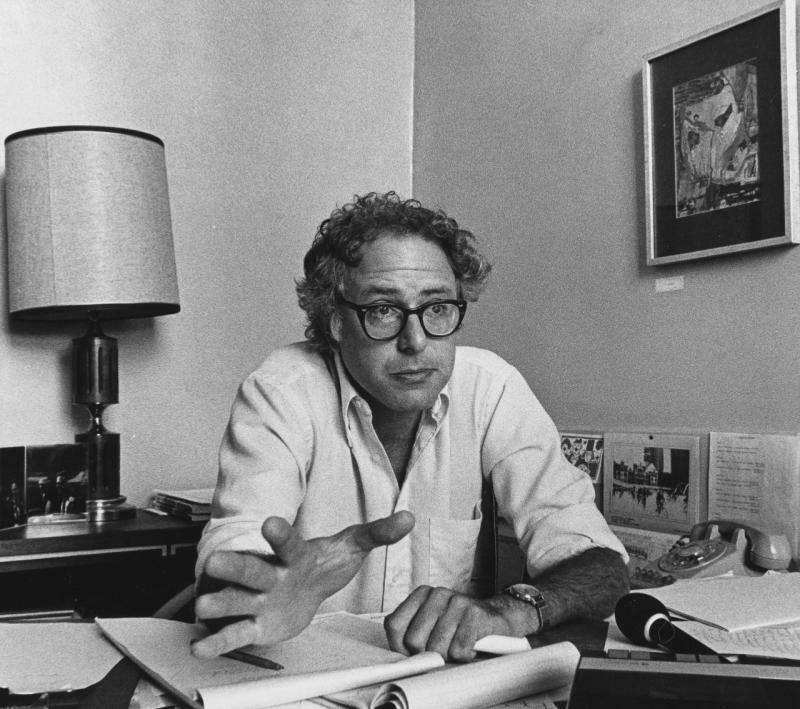 Sanders ran for Congress rather than governor after leaving Burlington’s City Hall in 1989. But today, his dream of bringing his values to higher office and a national audience is closer to fruition than at any time his life. A two-term incumbent U.S. senator, Sanders is within striking distance of frontrunner Hillary Clinton in this year’s Democratic presidential primary, with recent polls in Iowa showing the two neck and neck and a Sanders lead in New Hampshire. As Sanders journeyed from the fringes of Vermont’s political scene to the national stage, many aspects of his agenda and even rhetoric have remained remarkably consistent. However, an extensive examination of his statements and views at the beginning of his political career shows Sanders has moderated some of his positions over the years. Among other things, during the 1970s and ’80s, Sanders regularly called for public takeovers of various businesses, including utilities and the oil industry. Sanders advocated seizing money from corporations and from one of America’s richest families. And, as a mayor, Sanders made forays into foreign policy that included meetings with representatives of hostile nations, rebel groups and Canadian separatists. Yahoo News first reached out to Sanders’ presidential campaign to discuss this article last week. In addition to inquiring about Sanders’ past support for nationalizing various industries, Yahoo News asked about Sanders’ presence at the Sandinista rally. This included a request for the campaign to confirm whether a report in the alternative weekly Seven Days that claimed the trip to Nicaragua was paid for by the Sandinista government was correct. The campaign declined to comment. Yahoo also contacted the campaign of Sanders’ Democratic primary rival, Hillary Clinton, which has become increasingly critical of the Vermont senator as the race tightens. It declined to comment as well. Sanders is now vying to be the Democratic Party’s presidential nominee, but his record reflects just how far outside of the two-party system he started out. In fact, throughout his early career, Sanders expressed distaste for both Democratic and Republican politicians. His first campaigns were long shot bids as a member of the Liberty Union Party, a radical, anti-war group that he helped found. Under the Liberty Union banner, Sanders ran for one of Vermont’s U.S. Senate seats in 1972. He ran for the state’s other Senate seat in 1974. Sanders, who served as Liberty Union’s chairman, was also the party’s candidate in Vermont’s governor’s races in 1972 and 1976. In all four campaigns, Sanders attracted support in the single digits. In interviews at the time, Sanders was fairly open about the fact he did not expect to win any of these races. Rather, he suggested the Liberty Union Party could serve as a force to mainstream socialist ideas ahead of an eventual national shift. During his Senate campaign in 1974, the local Bennington Banner quoted Sanders telling attendees at a Liberty Union event about what he hoped to accomplish with his long shot candidacy. At a press conference for his second gubernatorial bid in 1976, Sanders predicted it would have a “national impact” if the Liberty Union candidates had a decent showing at the polls because it would show voters there were alternatives to the traditional party system. “He said voters sense that Democratic politicians have similar views about such issues as rising utility rates, an unfair tax system, low wages, and high unemployment,” UPI reported. Some of his pitch to voters was quite similar to his current platform. As a Liberty Unionite, Sanders railed against income inequality and — decades before the Occupy movement — what he described as a system that privileged “the wealthy 2 or 3 percent.” As he does now, Sanders called for progressive reforms to taxes and campaign finance. The following year, the Bennington Banner reported Sanders’ Senate campaign was focused on “two prime issues.” The first was rate increases for electric and telephone service, which the paper said Sanders sought to confront with “public takeover of all privately owned electric utilities in the state.” Sanders’ plan for public ownership of utility companies involved the businesses being seized from their owners. These weren’t the only assets Sanders suggested should be seized from the wealthy. Sanders’ second main theme in his 1974 Senate race was what the Bennington Banner called his “own pet issue,” the “incredible economic power of the Rockefeller family.” As a presidential candidate and member of Congress, Sanders has assailed the influence billionaires and megadonors hold over American politics and media. However, his plan for the Rockefellers went much further, with Sanders implying he would push to have the family’s fortune used to fund government programs. In a 1974 press release, Sanders said “the incredible wealth and power of this family must be broken up.” The Rockefellers’ billions should be “used to create a decent standard of living for all people” by being redirected toward government social programs for the elderly or lower taxes. Sanders was in the middle of running on an anti-Rockefeller platform in August 1974 when reports began to emerge that President Ford planned to nominate Nelson Rockefeller to be his vice president after the impeachment and resignation of President Nixon. Sanders was apoplectic and sent a letter to Ford urging him to pick someone else because “the Rockefellers are already the richest and most powerful family in the world.” Sanders warned that the appointment “could be the beginning of a virtual Rockefeller family dictatorship over the nation.” Rockefeller was officially nominated about a week later and went on to become vice president. But Sanders didn’t drop out of Vermont politics — or stop advocating for private assets to become public property. In 1979, he penned an opinion column for the Vermont Vanguard Press about another industry he felt was ripe for a public takeover — television. The editorial, titled “Social Control and the Tube,” called for people to “address the control of television as a political issue, and organize to win.” Sanders argued the owners of commercial television stations sought to “intentionally brainwash people into submission and helplessness” through “constant advertising interruptions” and “the well-tested Hitlerian principle that people should be treated as morons and bombarded over and over again with the same simple phrases and ideas.” He said the television industry was designed to “create a nation of morons who will faithfully go out and buy this or that product, vote for this or that candidate, and faithfully work for their employers for as low a wage as possible.” Sanders suggested a public takeover of the airwaves could remedy the problem. Sanders had a chance to pursue public control of television broadcasting, as well as his fight against utility companies, when he became mayor of Burlington in March of 1981. "The decisions in this city are not going to be made in the offices of banks and big businesses any more,” Sanders warned after his victory. Still, Sanders promised he would be “extending the olive branch” to Burlington’s business community and political establishment. “I’m not looking for war,” Sanders said. Sanders might not have been spoiling for a fight, but he sure got one. He began his mayoralty with only two supporters on the city’s 13-member board of aldermen. The rest were Democrats and Republicans who vehemently opposed Sanders. In his first months in office, the aldermen blocked Sanders’ appointments. He also accused city officials of firing his secretary and even opening his mail. One day Sanders’ rust-covered car was ticketed when he parked in his special mayoral spot. Burlington’s new mayor was a lot for some of his constituents and colleagues to get used to. Sanders is a Brooklyn native with a decidedly confrontational and prickly demeanor. 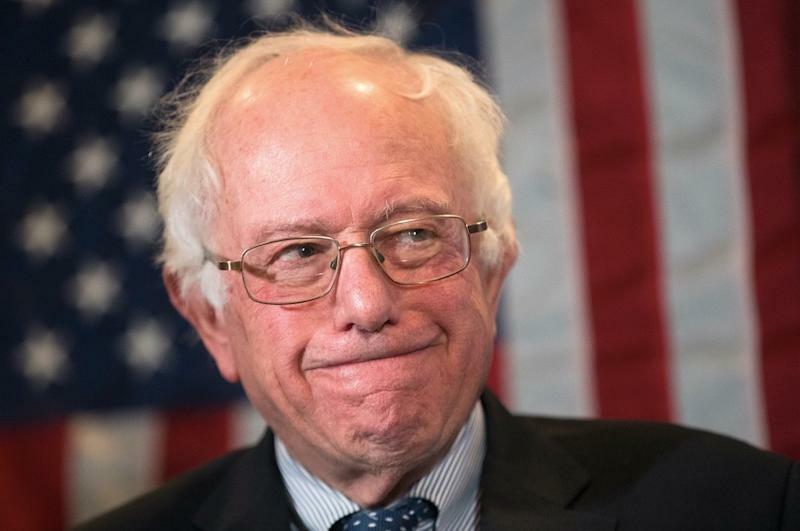 The New York Times reported on an incident that took place a little over six months after he took office when Sanders essentially insulted a room full of charity workers. Sanders had been invited to speak at the 40th annual Chittenden County United Way fundraising drive. When he stood up to speak at the banquet, Sanders let the attendees know he didn’t support their work. “I don’t believe in charities,” Sanders said before explaining that he felt government should be responsible for social programs. De Carolis attributed the anger at Sanders to the city’s Democratic establishment losing power to an independent socialist. Sanders’ appearance may have stood out almost as much as his policies. Multiple articles about the early days of his mayoral administration allude to his casual and even sloppy personal style. Sanders reportedly purchased a suit an hour before his inauguration and lived in an apartment that De Carolis described as “a mess.” In 1982, Knight-Ridder news service spoke to James Burns, one of Sanders’ rivals on the board of aldermen. Burns said he didn’t “get along too well” with the mayor and went on to mock Sanders. Still, in spite of the rocky start, Sanders eventually won over the board — literally. By 1985, six of the aldermen were members of Sanders’ Progressive Coalition. During his four terms in office, Burlington’s socialist mayor presided over a prosperous economic climate and his treasurer discovered a $1.9 million surplus that had gone unnoticed in the budget. Though Sanders installed a new tax on money spent at hotels, restaurants and bars, he pushed for lower property taxes. Sanders also audited the city’s pension fund and initiated competitive bidding for many government contracts. Sanders also began dabbling in mainstream politics. He endorsed his first Democratic presidential candidate, Walter Mondale, in 1984. Sanders even wore a suit sometimes. De Carolis said Sanders would dress up for his visits to the State House in Montpelier. The Associated Press pointed out Sanders wore a suit for a debate when he was running for re-election in 1983 though the reporter said aides had to help Sanders fix his tie before he went out onstage. Of course, Sanders still pursued a staunchly progressive agenda while he was mayor. He continued battling with Vermont’s utility companies. He charged them new fees for excavating on city streets and pushed for them to raise commercial rates in order to lower costs for residential clients. And while he didn’t try to seize the local television industry, Sanders sought to establish a city-owned and -operated cable system to compete with the private Green Mountain Cable Television network. “We have a city that is trying to help a developer build $200,000 luxury waterfront condominiums with pools, and health clubs, and boutiques, and all sorts of upper-middle-class junk five blocks from an area where people are literally not eating in order to pay their rent and fuel bills,” Sanders said. The waterfront park Sanders pushed for was eventually built. In fact, it’s where Sanders stood when he held a rally to launch his presidential campaign last year. Along with fighting development on the lakefront, Sanders also established anti-pollution programs and a community land trust. Other progressive achievements during the Sanders administration included a law requiring women to get 10 percent of city-funded trade jobs, a 1985 resolution supporting gay rights, and programs that allowed city employees to have input on personnel policies including sick leave. Still, Sanders’ most radical actions as mayor had little to do with Burlington. While in office, Sanders pursued a foreign policy agenda independent of and at times at odds with the aims of Washington. This included engagement with controversial international political groups and countries that had hostile relationships with the United States. Sanders found multiple ways to involve himself in the war between the Sandinistas and the Contras in Nicaragua. In addition to traveling to the country and attending Ortega’s rally, Sanders’s Progressive Coalition on the board of aldermen passed a 1985 resolution pledging Burlington would defy President Ronald Reagan’s embargo of Nicaragua. Sanders also established a sister city relationship with a Nicaraguan town, Puerto Cabezas. His actions drew such attention that the “Doonesbury” comic strip infamously nicknamed Sanders’ city the “People’s Republic of Burlington” after he took office. Along with visiting Nicaragua, UPI reported, Sanders traveled to Cuba and the Soviet Union during his years as mayor. And on Dec. 6, 1981, Sanders went to Canada for the policy convention of the Parti Québécois, the separatist party that led the Canadian province of Quebec. At that gathering, which reportedly was also attended by representatives of the Palestinian Liberation Organization, the PQ voted to push for independence from Canada even if it required breaking economic ties. Sanders’ diplomatic efforts also included welcoming dignitaries to City Hall in Burlington. In 1985, the Los Angeles Times noted “politicians from France, England, Mexico, Scandinavian countries, visitors from the Soviet Union and China, and representatives from the Irish Republican Army have stopped by Sanders’ office during the past four years.” Sanders also told the paper about his unusual idea for confronting Cold War tensions. De Carolis, Sanders’ friend and ally in city government, said Sanders was able to delve into foreign policy because he focused on Burlington first and constituents were happy with basic services. Sanders left the mayor’s office in 1989 after deciding not to run for re-election. He was followed by Peter Clavelle, whom UPI described as his “hand-picked successor.” Sanders, who unsuccessfully ran for Congress in 1988, won a House race two years later, beginning his career in Washington. He was elected to the U.S. Senate in 2006. As a presidential candidate, Sanders has maintained the relentless focus on income inequality and tax reform that was a hallmark of his earlier career. Still, there’s no question he also has moderated some of the views he espoused at the start of his political career. Washington writer Harry Jaffe, author of the new book “Why Bernie Sanders Matters,” suggested that this turn away from advocating for the public takeover of industries has been the biggest change in Sanders’ platform over the years. Indeed, leftists have criticized Sanders for no longer supporting nationalization of industries and openly speculated about whether his current brand of “democratic socialism” is socialism at all. Jaffe described the situation as a “deal with the devil” Sanders made as he sought higher office. Sanders’ foreign policy ideas are also far more mainstream than they were when he was mayor of Burlington. Jaffe cited Sanders’ votes to approve increased defense spending — even though they came begrudgingly — as another area where his views have “moderated.” Though Sanders has heavily focused on the fact he voted against the Iraq War, Sanders has voted to authorize military force in other instances. Jaffe said this is another shift for a politician who began his career extremely “skeptical” of war. 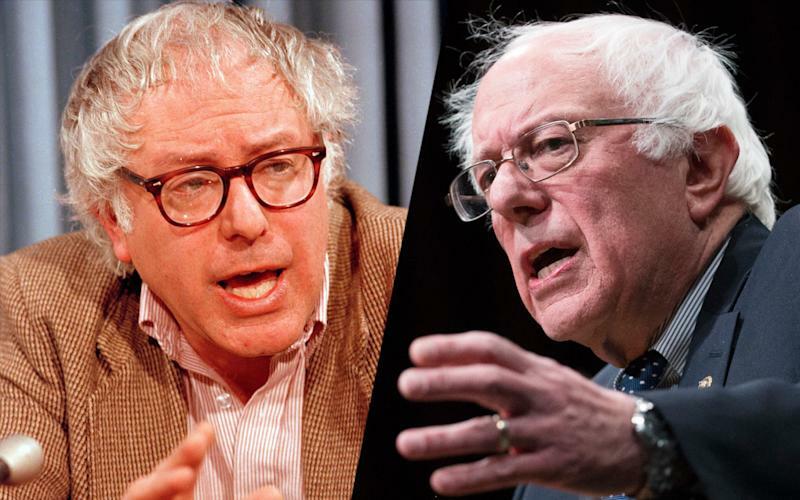 When asked if Sanders has moderated his views since the early days, his old friend De Carolis allowed that facing past political fights may have led Sanders to temper his positions somewhat. “Knowing what he’s been through the last 20 or 30 years, maybe to a degree but not much,” De Carolis said. “What you hear today is very much what you heard back then,” he said. However, Sanders’ ally has noticed one major difference. These days, Sanders generally wears a suit and tie. “If there’s anything that’s changed, it’s that he dresses much nicer now,” De Carolis said.